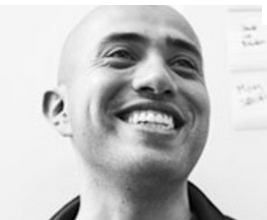 Soleio Cuervo styled the social layer as one of Facebook’s first designers. Now he’s off to define the data layer, as this afternoon he’ll announce he’s going to work for Dropbox. Known by just his first name, Soleio designed the Like button but left Facebook a year ago once its chrome solidified. Today he returns to startup-land to tackle challenges at Dropbox as it soars past 100 million users. After six years at Facebook it’s understandable that Soleio chose to move on. It was no slight to the social network. It’s just a lot of the core design work there had been done. His initial shares had vested and it was time to take on a new adventure. The 30-year-old started working at Facebook in November 2005 after studying music composition at Duke. He formed a development firm before getting recruited to Facebook. A Wall Street Journal profile of Soleio says he draws design inspiration from 1980s videogames and urban planning. Along with the Like button, Soleio shaped early products like links, notes, and commenting. Later he aided the design of chat, video sharing, Facebook Groups, and its Skype-integrated video calling. When you look at Facebook, you see Soleio’s handiwork. His move to Dropbox, which my sources say will be formally announced soon [Update: Soleio posted on Facebook confirming the move], isn’t a huge surprise. He’s been working as an advisor there. Meanwhile, his friends Ruchi Sanghvi and Aditya Agarwal left Facebook in early 2011 to found a startup named Cove, which was acquired by Dropbox in February 2012. Now Soleio will be reunited with Sanghvi and Agarwal at Dropbox’s new headquarters in San Francisco. The fast-growing startup hasn’t been shy about putting its $257 million in funding to work, as evidenced by the Cove buy and Soleio’s hire. Right now its goal is preserving our photos, documents, and the output of our lives. What’s even more exciting is the massive opportunity Dropbox has to stitch together all of our networked devices into an Internet of things that share our information. Soleio has a tough job ahead — giving the world a visual language for interacting with data. It’s a lot more abstract than engaging with friends. If done right, though, Soleio could help us spend less time managing the backups of our memories and more time making them. “This past summer I started working with Dropbox as an advisor to the company. Today I’m honored to announce that I’m joining Dropbox fulltime to help build out the design team. I’m joining Dropbox because they have a unique opportunity to reimagine not just the filesystem but how people fundamentally interact with their belongings across all platforms, devices and services. It’s an enormous design challenge and I believe the folks there have the talent to meet it.